When the largest company in the world, General Motors (GM), failed, there were about 40 Saabs in their Heritage Collection, including the “Holy Grail” #2 orange model 94 Sonett. GM sold off the collection to the newly reformed Saab Cars of North America (SCNA), as well as a combination of private buyers. SCNA chose to buy only the rarest of the GM Saabs, which of course included Sonett #2. Now fast forward to 2011, with the familiar sounds of Saab going broke again. As soon as I had heard enough to figure out that the chance of Saab surviving was unlikely, I begin to inquire about the GM / SCNA Heritage Cars. But to be honest, my thoughts were for cars other than the model 94 Sonett . I figured that car would end up with a home back in Sweden, or go to a very high-end buyer. In January 2012 the news quickly broke over the internet that a sale was occurring in Sweden for all the cars in the Saab Museum. To hear this news from Sweden was sad, as it was with most Saab lovers I suspect. But many quick phone calls and emails to Sweden soon convinced me that the cars would most likely all remain in Sweden under the new ownership of a group of people, which included the city of Trollhättan. Since I was very sure of the fate of the cars at the Saab museum in Sweden, I quickly changed my focus back to the cars here in the USA owned by SCNA. I made several phone calls and emails to everyone I thought could help me learn what was happening at SCNA. It became apparent this was a deal I could not pull off alone. Even though circumstances had me sitting flush with cash reserves at the moment, the benefit of all time high farm prices, I felt enlisting help would increase my chances of successfully acquiring some of the cars. There is an old saying in investing, “Bears make money, Bulls make money, and Pigs get slaughtered!” With that mindset I soon found myself talking mainly to Bill Jacobson, of Sports Car Service in Wilmington, Delaware, and Chip Lamb, of West of Sweden. Bill is the current owner of Sonett #6 and I have known him and his wonderful family for a long time. They are the epitome of what Saab people are. Trustworthy, hardworking people who truly love the brand. Last summer I was driving up the east coast on I-95 with my Chevy Suburban when I had fuel pump trouble. Bill directed me to his shop were he let me use a hoist and a tech to fix it. He even ran me to a GM store to get parts. And the charge was nothing. Hard to beat people like that. For those who do not know, Chip is a walking encyclopedia of car knowledge. Then you add to that the fact he loves Saab too and you have a source of information unlike anyone else on this planet. 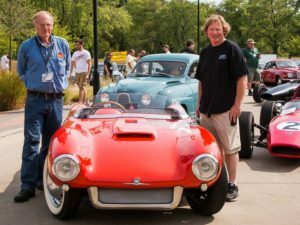 Chip was also the man SCNA trusted to bring into Detroit to evaluate all the 13 remaining cars in the SCNA Heritage collection. Chip had first-hand knowledge of every car SCNA owned, something no one else had, which proved to be very helpful. With our combined knowledge I felt I had a fighting chance. The only problem was that SCNA had let all but two of their employees go. So now all of Chip’s, Bill’s, and my contacts were gone. I decided that Bill and I together had enough capital to make a play on the cars, and the cars we each wanted were different, so we avoided the “who gets what” issues. We started to talk to the people left at SCNA to make a deal to purchase all the cars. This happened over a couple weeks and during this time word came in from Sweden that indeed the cars in the Swedish Museum had been saved. We also had a dollar amount to look at: $4,300,000 for all the SCNA cars. I took the lead on the deal and did all the communications with the powers that be at SCNA. Every day I would get a different answer on how to buy the cars, from “make a cash fire sale offer” to closed sealed bids over time. Just as I thought we had an answer on the cars, a group of US Saab Dealers filed bankruptcy on SCNA. This move destroyed my attempts to buy the cars quickly; now a court appointed firm was officially handling the sale of all SCNA assets. Finally, on February 3rd, 2012 I received an email from the people handling the liquidation of SCNA, the McTevia Group, with information on how SCNA would dispose of their Heritage cars. There were 11 cars to be sold in one lot, via sealed bids that had to be in by noon February 10th. The bids needed to come with a cash deposit to SCNA of 25% of your bid amount. I do not know about you, but giving a bankrupt company a cash deposit seemed like a poor idea! If you didn’t win the bid, would you get your deposit back? Also, if you won the cars, you needed to pay the remaining 75% by the following Wednesday. Then you had to wait up to 30 days for the court to approve the sale before you could take possession of your cars. I put a bid in for the cars on Thursday, February 9th, 2012, 24 hours before the deadline. Now the wait was on. Seems like Bill and I talked every few hours about all the “what if’s” in this deal. I did not fully expect to hear from SCNA the next day, even though they said they would in their bid documents. But early Friday afternoon I got an email that read: CONGRATULATION SCNA Heritage cars winning bidder!! I am not sure if at that point I was happy or scared. But the thought of owning Sonett 1 seemed to overcome all fears. I called Bill to inform him and he quickly congratulated me on now owning a Sonett Super Sport too! But now the real wait was on. SCNA had 25% of my money and wanted the other 75% in 5 days! I decided I needed to drive to Detroit and look at the cars. I figured I would leave Sunday night to make my eleven-hour trek to Detroit. Unexpectedly, I received another email that weekend that said the cars were already released and could be picked up any time now. So now I had to figure out how to get the cars home. Fortunately for me my middle son Nate was now home from Iraq and was available to assist in the pickup and logistics of the trip. I had planned on an enclosed car hauler company (which takes several days to organize) but felt the need to quickly get the cars out of SCNA hands and into mine was more important than having the enclosed trailer. So, I grabbed my open four car hauler, one single car enclosed trailer, and made plans to be in Detroit on Monday at 8AM. We met the SCNA people and members of the GM Heritage Collection at 8:00 Monday morning as planned. We entered the building that housed the Saabs only to find them surrounded by hundreds of GM’s concept and prototype “one off” cars. Wow! What a place. So much car history in that one single building. But the history I really wanted was the Saab history! I quickly looked over all the Saabs we were buying with help from my son Nate, as well as Verlyn Gregerson, and his dad (both employees and friends of mine). The cars appeared as good as I had hoped to the naked eye, except the 1952 92. Someone had repainted the hood since the last time I had seen it. Looked to me like a MAACO $99 paint job. Not even close to matching. Oh well, that’s the way it goes sometimes. The people there at GM insisted the car had always looked like that, but they did not even know the hood and the body paint did not match until I showed them. Someone reading this may have the answer for me. Regardless, I wired the remaining 75% of the purchase price and we were soon to load cars… well almost. It seemed that SCNA had not paid their storage bill in full to GM. We had to wait about 4 hours for SCNA to cough up some of the money I had just paid them before we could get our cars out of the General’s clutches. It was odd. They let us back our car hauler into the building, hook the winch up to the rear of the 92 and get it just up to the ramp, but we could NOT have the tires actually touch the ramp until the bill was paid in full by SCNA. We set out to start the cars, but unfortunately most of them did not start. Also surprisingly, the people at GM’s facility did not even have a jump pack! Guess times are still tough for Mr. Goof Wrench. Good thing I had two jump packs along with me. With the jump packs we began trying to start all the cars. The two strokes would not start, something I am not used to. The guy handling the cars for GM said they always had to use “starter fluid sprayed down the carb” to start the cars. I can assure you that after spending two years in Automotive School and my whole life working on Saab two strokes, that ain’t the F’ing way to start freaking two stroke Saabs! Regardless, I still let them shoot their magic spray to get them started but I shut the Super Sport down after about 15 seconds of running because they had to keep spraying it to keep it running and it was not smoking. A sure sign that it was being starved from an oil and fuel mix, even though they insisted it would run since it had fuel pumps running away. The guys there were actually very cool and just doing their jobs. They were allowing us every inch they could and still cover their butts. They were good fun and very proud of all the cars (just not two stroke guys!). SCNA finally paid GM for storage of the cars at about 2PM, so we loaded the cars up and got the hell out of Detroit and back to Dodge. Fort Dodge, Iowa that is! On the way back we hit snow and ice and had to pull over just outside Iowa to wait out a small but slippery snow storm that had worked its way onto I-80. Our Saab Heritage caravan arrived in Fort Dodge the next day, February 14th, 2012. It was a very special Valentine’s Days. Once home we cleaned the cars up good and I began the slow process of checking them out. I am so glad they are now in a Saab guy’s hands, because they were showing signs of “no clue – how to” all around. 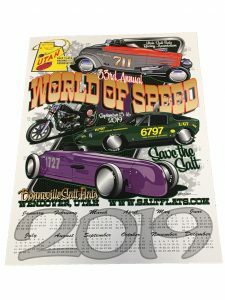 I really need to thank a lot of people for the roles in this process and for helping make the winds of the “perfect storm” dissipate in the farm fields of Fort Dodge, Iowa dropping a Saab Sonett Super Sport and a few other Saab treasures trapped in it! Thanks to my pick-up and shipping crew of Nate, Verlyn Sr. and Verlyn Jr. My good friends at Meyer Saab and Iowa City Saab, Marty and Annette Adams. Others VIP’s include Peter Backstrom, Bud Clark, Tom Nelson, Jim Sweeting, John Libbos, Moose, and many Saab lovers who sent emails wanting to help purchase the cars and those sending congratulations. But mostly I need to say a big “THANK YOU” to Chip Lamb and Bill Jacobson. Both good people, and better Saab folks. Sonett #2 is now happily living at the Saab Heritage Museum USA in Sturgis, South Dakota, along with the best of the GM Heritage Collection Saabs.